Over time, I’ve learned to make at home some of the things that we love to eat at restaurants. While it may not be the same as at a restaurant, they are still super yummy — and can justifiably be made at home. add in fried rice – I’ve discovered that as long as I have oyster sauce, soy sauce and toasted sesame oil I can make killer fried rice with whatever I have hanging around – everyone loves it and I have much fewer bits and pieces of leftovers! I totally agree! Of all the dishes I make fried rice is my husbands favorite. Two key ingredients for me are ginger and rice wine vinegar. I like it really tangy and bold. Also, I’ve recently completely switched to makingit with brown rice (unless white is what’s already cooked) and now we prefer it that way. Who knew? One of our favorites! Easy way to incorporate whichever veggie is almost gone, whichever leftover protein, etc. I’ve recently fallen in love with making dahl at home. Red lentils, onion, garlic, ginger paste, tomato paste. Voila! Fantastic meal for a chilly evening. G’day Evelyne, I totally agree how many wonderful ethnic recipes can be made at home easily and economically, true! I don’t understand people who want to make these type dishes but are afraid to try making them too! 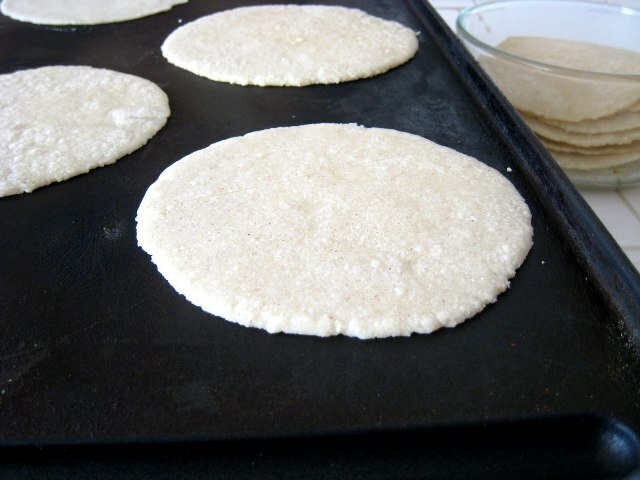 I’ve been making flour tortillas with white whole wheat flour for the past year, and we LOVE them. Not difficult at all, and SO much tastier than any packaged tortilla we’ve ever had. They freeze well, too, so I can make a double batch and keep one in the freezer for extra convenience. We’re having your versatile shredded beef tonight … with the flour tortillas below and various accompaniments & toppings. One of my favorite meals these days. Mix the dry stuff with a whisk. Add the oil and mix with your hands until it’s small-ish crumbs. (I squeeze/knead it like a stress ball.) Stir in the hot water and mix (with a spoon — don’t burn your hands!) until there aren’t any dry spots and it forms a ball. Cover bowl with towel or plastic wrap for at least 30 minutes. (I left it overnight once, and it was still totally fine the next day.) Divide into 12 balls. Roll each ball from the center outward. Roll very thin (about 8-9 inches in diameter). Cook on a hot, dry griddle (I crank mine up to its max – 400 degrees). Flip after about 30-45 seconds, or when brown spots begin to form on the bottom. Cook on second side another 30 seconds or so. Stack on a plate. Cool completely before freezing them, if they last that long. My husband and 4yo grab them warm off the plate, so I end up with about 8-9 instead of 12. 🙂 This is part of why I always double it. Sometimes I make them a little smaller and get 26-28 from a double batch. 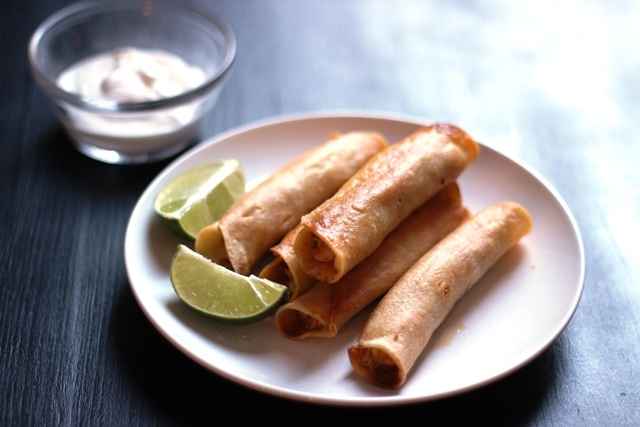 Ooh, and these are also great for making your own banana burrito like in the Mexican restaurants. Yum! Sounds good. Thanks for the recipe. I’ll let you know! We eat tons of ethnic food at home. Our favorites also tend to the mexican and asian varieties. We eat all sorts of asian noodle dishes. 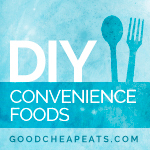 I recently found a yummy and healthy Pad Thai recipe(wait, and a Singapore Noodle one too) that was a huge winner and will be in regular rotation now. 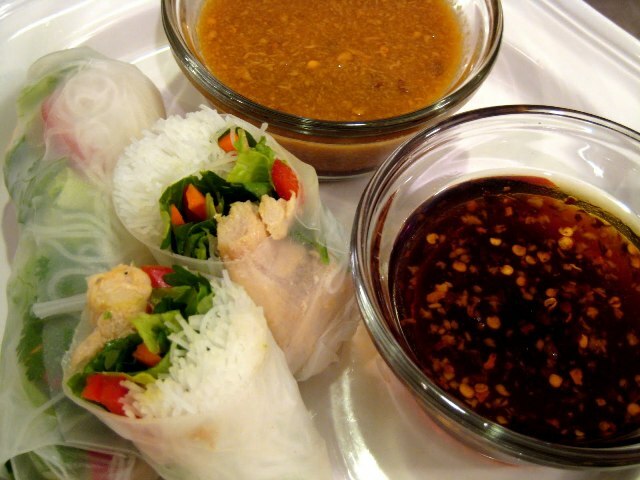 We eat curries, stir fries, flavors from vietnam, thailand, china, and more. We LOVE it and making it at home is so much healthier. Not to mention it’s a lot cheaper. I don’t make any tortillas but I make all sorts of mexican food, from the usual tacos, to enchiladas, fish, beans, etc. We use lots of mexican flavors across the board. I think close to half of our dinners have asian or mexican tendencies.